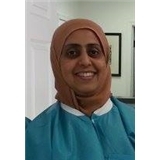 Ajmal Dental Care (Ellicott City) - Book Appointment Online! She made me absolutely comfortable, she addressed all my needs, walked the throygh the entire process. I really enjoyed the atmosphere and staff.